Thanks to all who made November 16 a banner day for Lancaster County. A special thanks to those who included Ambassadors for Hope in your giving. Your gift will allow children who have a parent in prison do what other kids are able to do. We want all children to have a safe and secure home. When Joanna was jailed in Lancaster County prison, she was due to give birth to a baby boy in 5 weeks. Joanna hoped her supportive boyfriend could parent the baby while she served her sentence. The Compass Mark's Family Service Advocate (Jen Strasenburgh] helped Joanna uncover worrisome charges from the man’s past, leaving Joanna stunned and desperate for her baby's welfare. Jen connected Joanna with Bethany Christian Services Safe Families program. Safe Families provided Joanna's infant son with an alternative to foster care by placing him in a vetted, loving home until Joanna's time was served. Jen even brought Joanna's baby to visit her in prison, establishing the parent-child bond necessary for him to thrive. Interesting fact: 50% of the children served by the Family Service Advocate were 5 years old and younger. 44% were between 6 and 12 years old, and 6% were between 13 and 16 years old. With so many very young children early intervention is essential to assure a safe, secure environment. The children are too young to fend for themselves. This is your chance to support children like Joanna’s baby. No gift is too small! 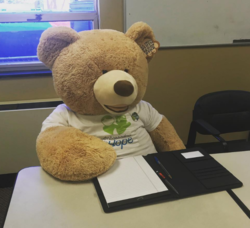 Ambassadors for Hope is unique as the only local organization focusing all their resources on service and support to children who have a parent in prison. 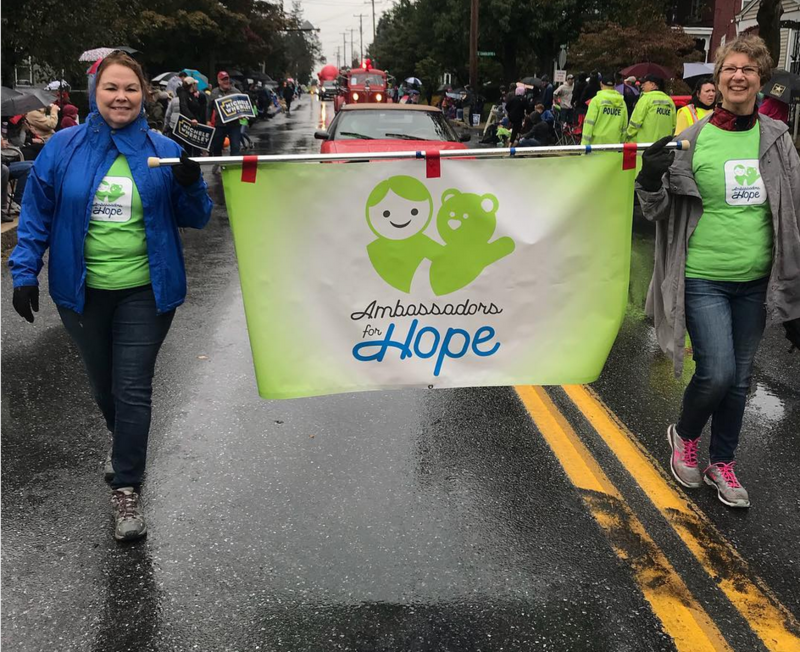 On Saturday, October 13, 2018 some of our volunteers braved the rain and marched in the Millersville Parade. Ambassadors For Hope supports the funding of the Family Services Advocate Program. This program approaches the needs of children of the incarcerated from the child's perspective. The program identifies, supports and advocates for the unique needs of children with a parent in prison. By offering case management for a child as soon as possible after their parent's incarceration, the secondary trauma that a child faces when moved from home to home is reduced. Through assisting the caregiver in meeting the child's basic needs it can allow them to remain in their home. We agree with the editorial that "Children ought not to be sentenced to hardship when their parents are sentenced to prison. We urge the commissioners to find a way to save the program that seeks to save the children of incarcerated parents." 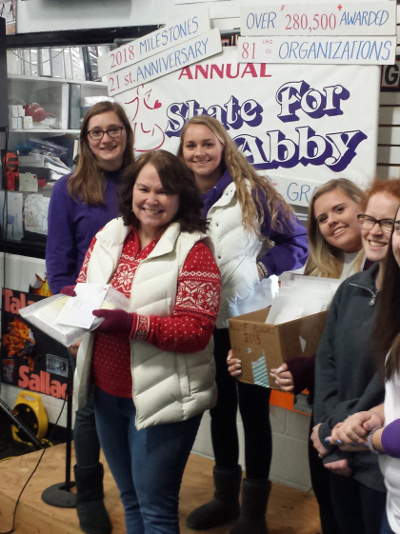 At the Skate for Abby event, on March 10, Ambassadors For Hope received a grant from the Abigail L. Longenecker Memorial Foundation, which provides funds to local nonprofit organizations for specific projects that benefit children. 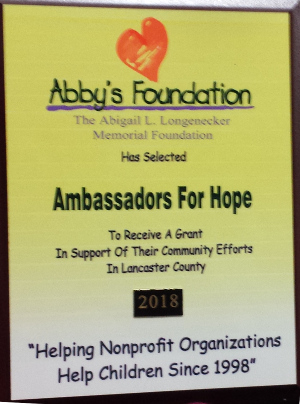 To date, Abby's Foundation has awarded 135+ grants totaling over $206,000 to 65+ different non-profit organizations. The "Young" Selection Committee is made up of approximately fourteen young adults whose ages range from twenty six to eleven. 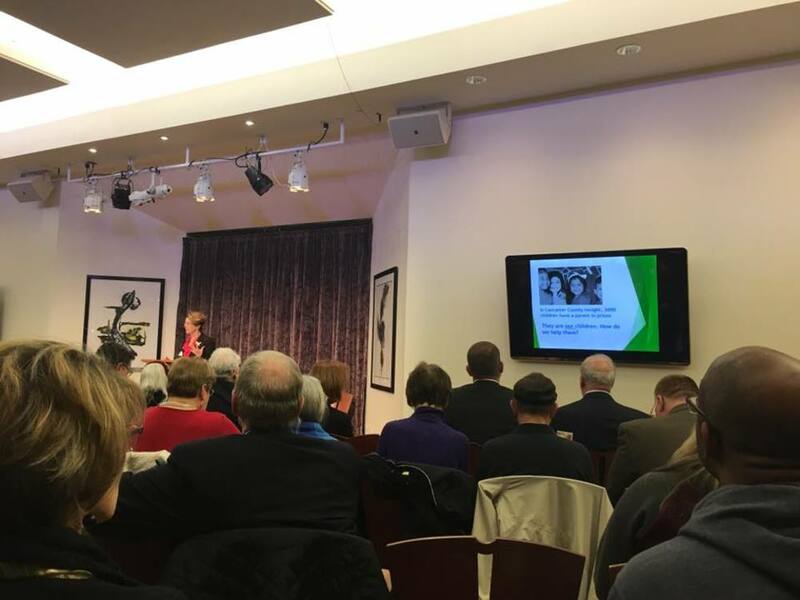 The Board of Directors of Abby's Foundation insist that the Selection Committee continue to acquire the opinion of youth in deciding what projects the foundation will support. Ambassadors For Hope is grateful for the support of this excellent foundation, which has been helping children since 1998. Thank you, Extraordinary Give donors! Ambassadors for Hope participated in the 2017 Extraordinary Give for the first time. 44 generous donors gave $5,000! The Lancaster County Extraordinary Give raised a total of $8,636,084 from 51,619 total gifts. 464 organizations benefited from the Extraordinary Give, which ended midnight November 17. Use this form to obtain information or for a referral. Please fax form to Compass Mark 717-393-5944, attention Jennifer Strasenburgh. 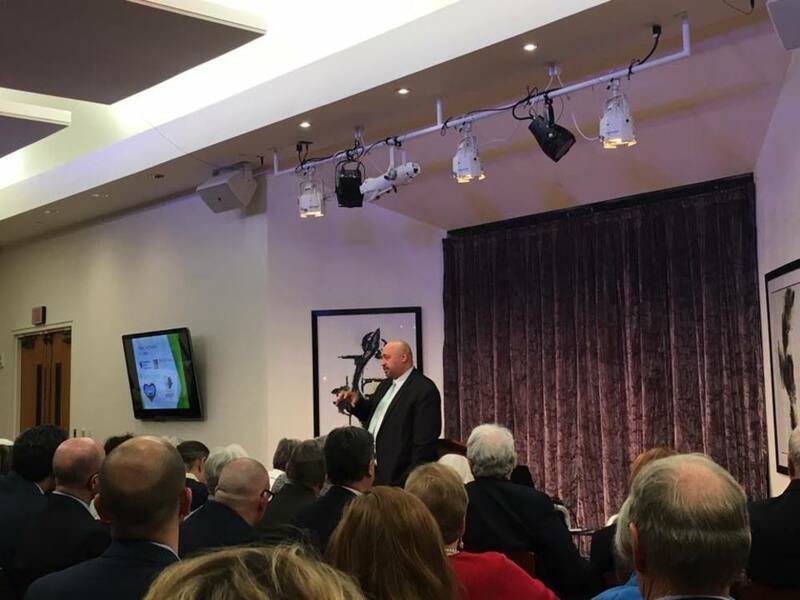 On March 8 a standing-room-only audience heard Pennsylvania Secretary of Corrections, John E. Wetzel, present an outstanding discussion of the impact incarceration has on families. Secretary Wetzel emphasized the importance of early childhood education in reducing the prison population. Studies have shown that the better education a person has, the less chance he or she has in getting in trouble with the law. There are more than 81,000 children of incarcerated parents in Pennsylvania and about 3,000 in Lancaster County. The children are from county and from virtually every single school district. Approximately half the children are under two years of age. Secretary Wetzel also stressed the value of the Nurse Family Partnership, which teaches parenting skills. As a result of the efforts of Ambassadors for Hope, Lancaster County agreed to fund a family services advocate to help manage needs for children of parents incarcerated in Lancaster County. The advocate, Jen Strasenburgh, has helped several hundred such children. Secretary Wetzel said Ambassadors for Hope and the family services advocate make Lancaster County unique in the services it provides to support children of incarcerated parents. 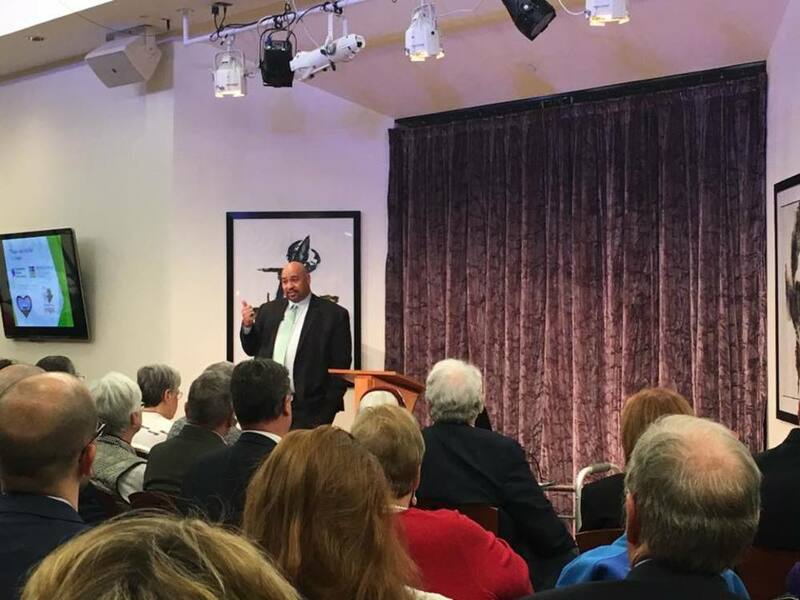 After his talk, Secretary Wetzel fielded many questions from the audience. A video of the presentation is available. 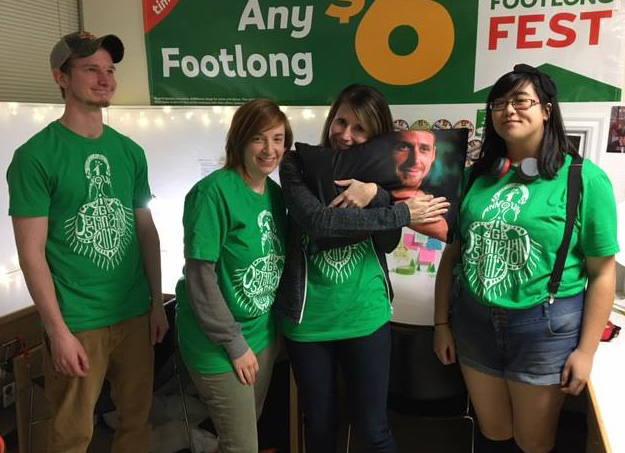 Ambassadors for Hope were thrilled to be chosen as a participating organization in Pennsylvania College of Art & Design's 7th annual #Designathon. Thanks to the Design Team that produced this OUTSTANDING PRESENTATION! To speak with, see and touch my parent. Not to be judged, blamed or labeled.